In 1951, 45 contestants from 25 states converged on the University of Arkansas for the national Chicken-of-Tomorrow finals. These were the culmination of a program throughout the 1940s to encourage “the development of superior meat-type chickens … a broad-breasted bird with bigger drumsticks, plumper thighs and layers of white meat” (as the narrator, Lowell Thomas proclaims in this 1948 documentary of the contests). The Chicken-of-Tomorrow contests were sponsored by America’s dominant grocery retailer at that time, the Atlantic and Pacific (A&P) Company. A collection of 1951 contest papers includes advertising materials, brochures and promotional souvenirs from suppliers of feed, drugs, stock and equipment for poultry growers. Chicken meat was indeed big business. And bigger chickens meant bigger profits. Bigger certainly appeared to be better, not only for producers but also for consumers. Selective breeding with an emphasis on growth rate, feed efficiency and amount of breast and thigh meat maintained a steady supply of inexpensive poultry products for the nation’s booming supermarket industry. Fast-forward fifty years and yesterday’s chicken-of-tomorrow is our chicken tonight. Intensive genetic selection has created a bird type that has little in common with earlier generations of broilers. Studies of the metabolism of these chickens suggest that such high demands on their energy resources for growth seriously compromise the resources they are able to direct towards other processes like fighting disease. An increased need for oxygen to support their rapid development leaves them prone to heart failure and ‘waterbelly’, or ascites. The impact that the gross weight of these chickens has on their ability to walk is recognised as a primary concern in broiler welfare. Additionally, these birds may be faster-growing but this means that they are also fattier than the chickens of yesterday – between 13-18% of the body weight of a commercial broiler chicken is ether-extractable fat. The inevitable conclusion is that these man-made, fast-growing broilers are genetically, physically and physiologically different from slow-growing strains of chicken. What happens when these man-made birds are reared intensively in farming sheds? Here, the chickens are kept on litter in direct contact with their droppings and are stocked at a density that provides little room for movement. As they grow, the environmental conditions in the shed tend towards becoming warm, wet and under-ventilated unless they are adequately monitored and regulated. 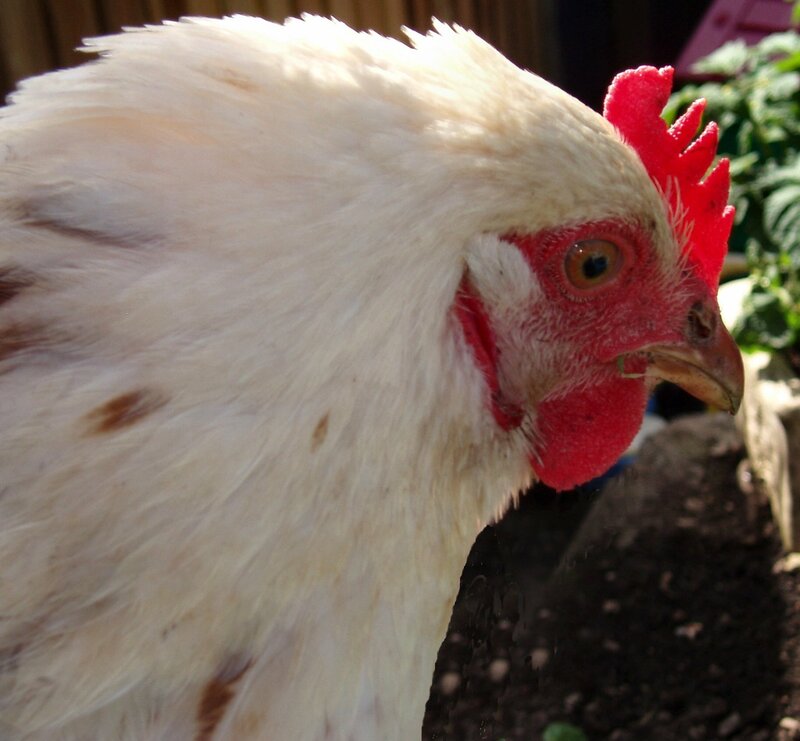 The chickens’ feed is normally processed to make it easier for the digestive enzymes to access the nutrients (heat-processing is often used, which also gelatinizes part of the starch and promotes feed conversion efficiency – note the links to kate flour!). However, heat-processing of feed pellets increases the chances of wet litter … so enzymes are combined with the feed to control wet droppings. These factors all combine to create a ripe breeding ground for the development of coccidiosis, one of the most important diseases among poultry. Although coccidiosis is common among all bird populations, the Food Standards Agency reports that intensive farming methods make the routine treatment of poultry with veterinary drugs “indispensable”. In the UK, intensively-reared chickens are therefore given a coccidiostat feed additive from placement up to around 28 days of age. The only approved drug for this is Nicarbazin, currently available in the form of the feed additive, Maxiban. It is interesting to note that the same drug is also registered as an oral contraceptive in Canada geese! Maxiban Premix contains narasin and nicarbazin, may cause burns or permanent tissue damage to the eyes, and may be irritating to the skin and respiratory tract. Effects of exposure may include reduced activity, nerve tissue changes, changes in heart rate/rhythm, heart tissue changes, decreased red blood cell count, kidney tissue changes, and muscle tissue changes. It is possibly for these reasons that a high proportion of feed mixes used by the poultry industry are classified as dangerous and needing special transport arrangements under the Chemicals (Hazard Information and Packaging for Supply) Regulation 2002. The study highlighted that although it is best practice advice to empty bulk bins between feed deliveries, this does not always happen in practice, probably because farms are reluctant to risk shortage of food supplied to birds. And they are reluctant to risk shortage of food supplied to birds because … answers on a postcard 😉 . But surely coccidiosis is a problem in free-range and organic methods of farming, too? Well yes … but it’s more a question of scale. There is little doubt that intensive farming practices increase the risk of infection and make preventative treatment in the form of feed additives essential. 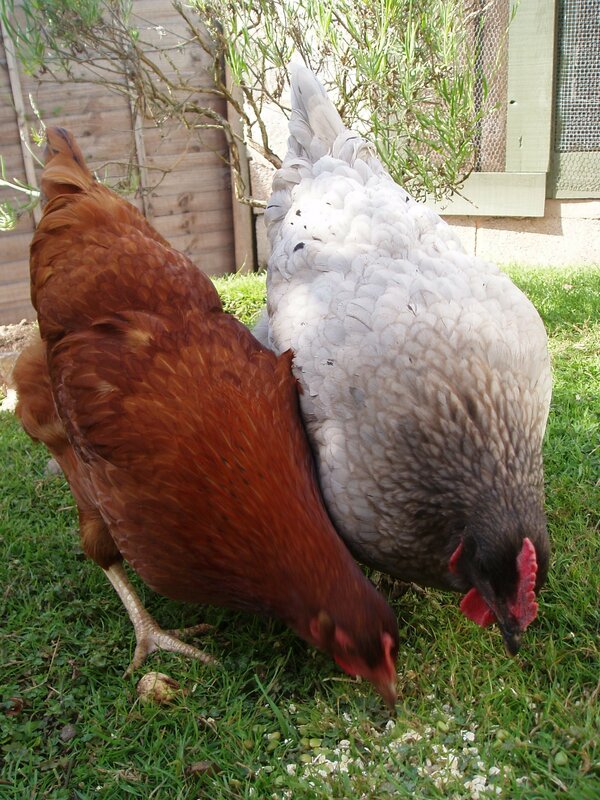 The oocysts that are eaten by the chickens need sufficient litter moisture to sporulate and become infectious. The risk of infection is also greatly increased when birds live among their own litter droppings. Combined with a densely-stocked flock of chickens whose massive size and painful leg conditions prevent them from foraging over a wide area, the extent of the problem in intensive farming becomes obvious. Indeed, intensive farming of poultry only became possible after the development of anticoccidial drugs in the 1940s. Until then, extensive farming methods enabled chickens to become immune to the disease through “trickle vaccination,” or exposure to a continual but low-level incidence of coccidiosis. Pasture management and vaccination are still used by organic and free-range production systems to control outbreaks of coccidiosis and avoid the routine use of preventative anticoccidial medication. So perhaps the simple answer would be to release all intensively-farmed chickens to the great outdoors. Unfortunately, this is not an option. As researchers discovered in 1994, fast-growing broiler chickens made little use of the pasture, perches or extra space when they were reared outside. Importantly, the researchers attributed this to the fact that 80% of the chickens had painful leg conditions by 7 weeks of age, which presumably prevented them from displaying any greater levels of activity despite the possibilities offered to them by their more natural surroundings. 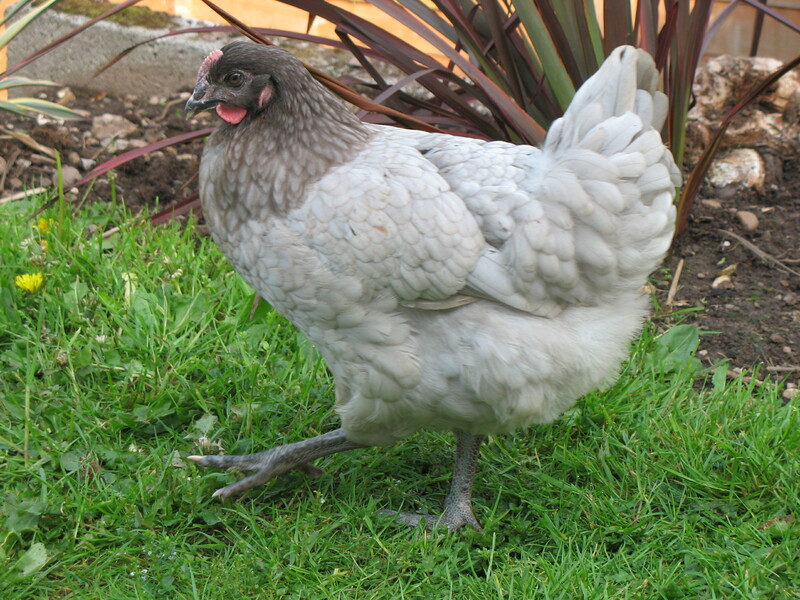 Furthermore, a comparison of slow and fast-growing broilers after the age of 6 weeks showed that the slow-growing birds walked around and spent more time outdoors, whilst the fast-growing strains were prevented from doing so by their extreme weight. These observations are supported by evidence that painful foot pad and hock burns among intensively-reared broilers are less a result of poor management and more a consequence of selective breeding. However, as Dr John Hardiman reported in 1996, leg disorders ranked only 9th out of 12 in the selection programs of the major broiler breeding companies. It’s easy to guess which factors were rated first and second in importance by broiler breeders … improved growth rate and feed efficiency, respectively. We show that the primary risk factors associated with impaired locomotion and poor leg health are those specifically associated with rate of growth … The welfare implications are profound … A debate on the sustainability of current practice in the production of this important food source is required … the broiler industry will need to work with the scientific community to develop more robust and healthier genotypes and to ensure that optimal husbandry and management practices are fully implemented. This is why I believe that the RSPCA’s Freedom Food standards should be adopted as the minimum requirements for the entire broiler chicken industry. 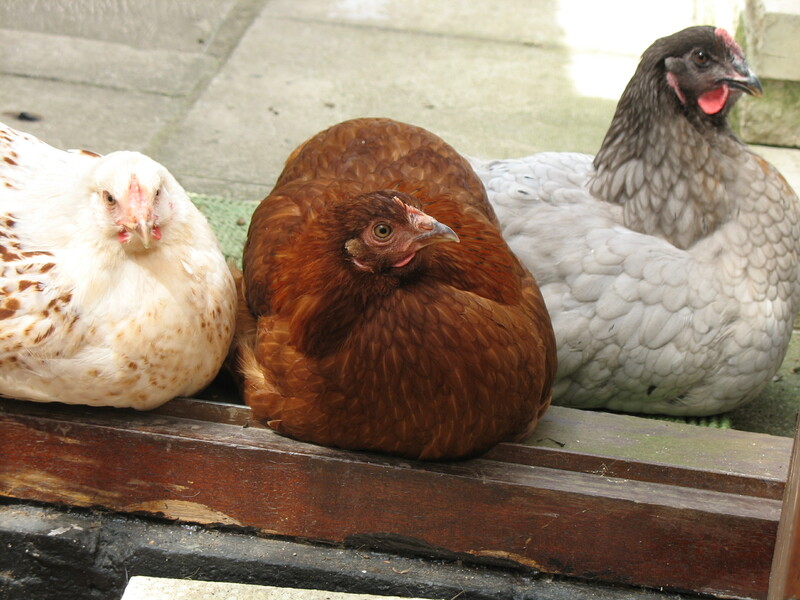 Key points include the provision of space for all chickens to move around and a restriction of the genetic growth rate of a chicken to no more than 45g a day, on average. With this assurance as a minimum, we could at least be confident that even our very cheapest chicken was of an acceptable welfare and nutritional standard. For my own entry to Let Them Eat Chicken, I would like to offer a recipe that makes use of any left-over pieces of chicken. 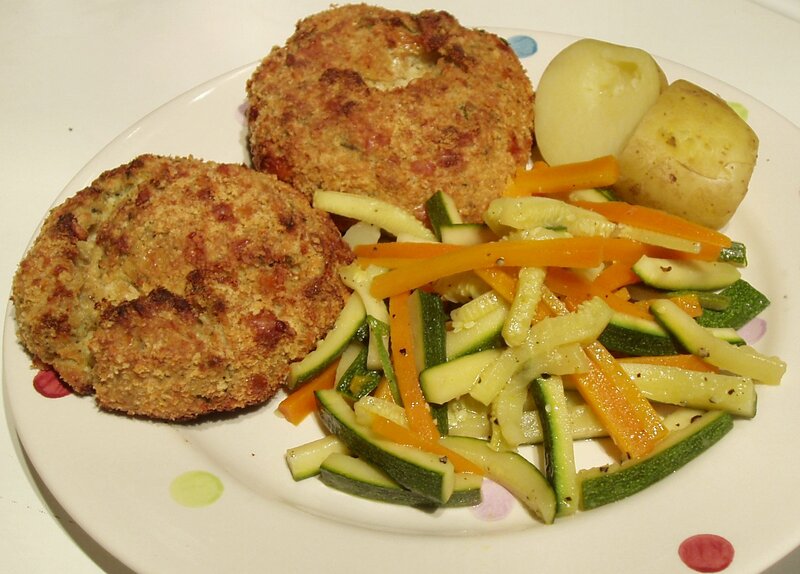 I developed this recipe because I absolutely love Chicken Kievs but was unable to find any that used organic or free-range chicken. Now I have a version that I would prefer any time over the highly-processed, intensively-farmed Chicken Kievs on offer in the supermarkets. I apologise in advance for the unorthodox amounts I use – it all depends on how hungry you are and how much chicken you have left to use! Soak the bread in the milk for 15 minutes, then squeeze out the excess milk. Combine the soaked bread with the chicken mixture to obtain a consistency that holds its shape when formed into patties. Scoop out a ball of chicken mixture with your hands. Press a knob of butter into the centre then smooth the mixture around to enclose the butter completely. Roll the patty/Kiev in the seasoned flour, then in the egg and finally in the breadcrumbs/parmesan. When you have used up all of the chicken mixture in this way, bake the Kievs on a baking tray in the centre of the oven (180 degrees C) for 35 to 40 minutes. Alternatively, cover with clingfilm and refrigerate until ready to bake. Take 8 chicken drumsticks and add a tin (c.400g) of sliced peaches in syrup and a packet of French onion soup. Casserole for 2 hours at 190C (or cook in slow cooker) and serve on a bed of rice. (Ch)eat your heart out Delia!